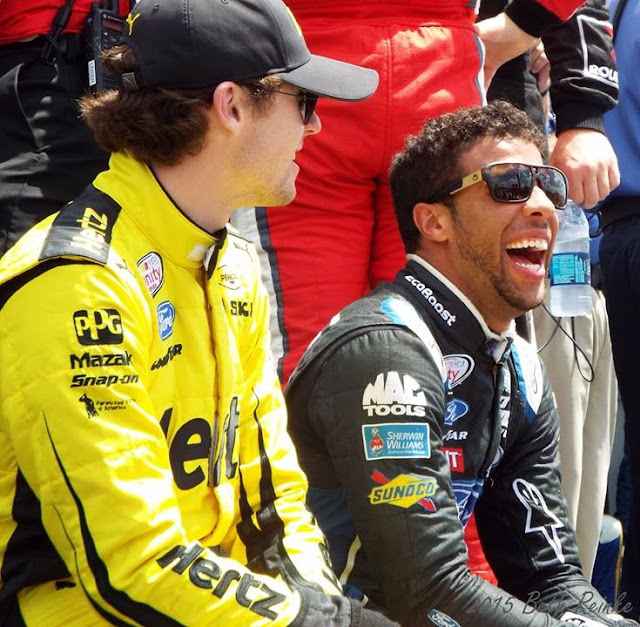 Home / 2017 NASCAR season / Caption this / Darrell Wallace Jr. / Ryan Blaney / Caption This: Ryan Blaney & Darrell Wallace Jr.
Caption This: Ryan Blaney & Darrell Wallace Jr. Enjoy this week’s photo of besties Ryan Blaney and Bubba Wallace, which was captured by our Beth Reinke at Dover in 2015. Jedi-in-Training Ryan Blaney Kenobi: You really should have looked at our records before you agreed to roar like a wookiee every time I outqualified you. Ryan: *waves hand* No I didn't.